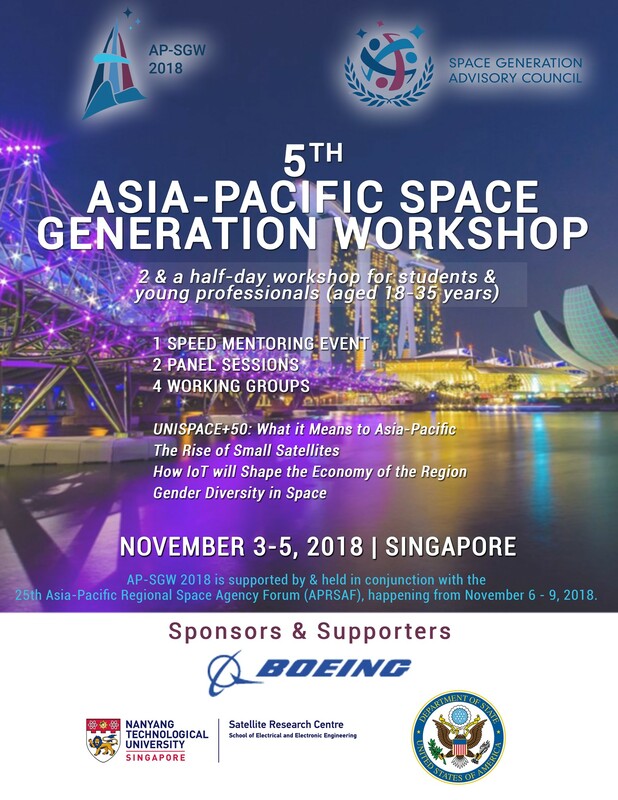 The 5th Asia-Pacific Space Generation Workshop (AP-SGW 2018) is a two and a half-day workshop for students and young professionals (aged 18-35 years) to discuss pertinent issues in the Asia-Pacific region. Held from 3 to 5 November in Singapore, the event will feature up to 100 top delegates. As per tradition, AP-SGW 2018 is supported by and held in conjunction with the 25 th Asia-Pacific Regional Space Agency Forum (APRSAF), happening 6 to 9 November. With AP-SGW, SGAC aims to engage the next generation of space leaders in exploring challenges relevant to the region and opportunities for regional collaboration. Please note that an attendance fee of 20USD will be applicable upon registration. Once your application has been accepted you will be sent a link to EventBrite to proceed with your payment. Your ticket includes 2 lunches, 4 coffee breaks, and 1 dinner. Call for applications to the Asia-Pacific Space Leaders Award now open! The Asia-Pacific Space Leaders Award aims to recognize SGAC members for their contributions to the space field in Asia-Pacific as well as to provide opportunities to talented individuals to attend the Asia-Pacific Space Generation Workshop (3 – 5 November 2018) held in Singapore. Following the successes of previous SGAC Asia-Pacific workshops and the recent SG[ASEAN] workshop held in January, AP-SGW 2018 will celebrate its 5 th year in Singapore. Past AP-SGWs from 2014-2017 were successfully hosted in India, the Phillippines, Indonesia and Japan. Asia-Pacific being the largest region for space growth, there is a need to continue building a community of practice in the region to capitalize upon opportunities. Additionally, with cutting-edge satellite technologies and other advancements, the scope for cooperaion and synergy in the Asia-Pacific field of space is tremendous. This coming AP-SGW workshop will build upon the roadmap of previous years, providing an ideal platform for delegates to voice their opinions, exchange ideas on salient space issues, and connect with one another. AP-SGW will also foster a unique environment, bringing together students, young professionals, and representatives from academia, agency and industry. 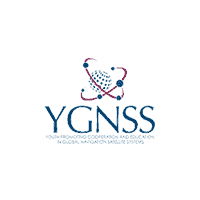 The output from the working groups will be presented at the AP-SGW and further submitted as SGAC recommendations to United Nations Committee on the Peaceful Uses of Outer Space (UN COPUOS), in addition to potentially presenting them at high-level scientific conferences. (v) To celebrate and reflect upon progress in the young Asia-Pacific space community, having a clearer picture on how to pave the way forward. If you have any questions about sponsorship opportunities, please feel free to contact the Event Managers or Local Organizing Team Lead for support.